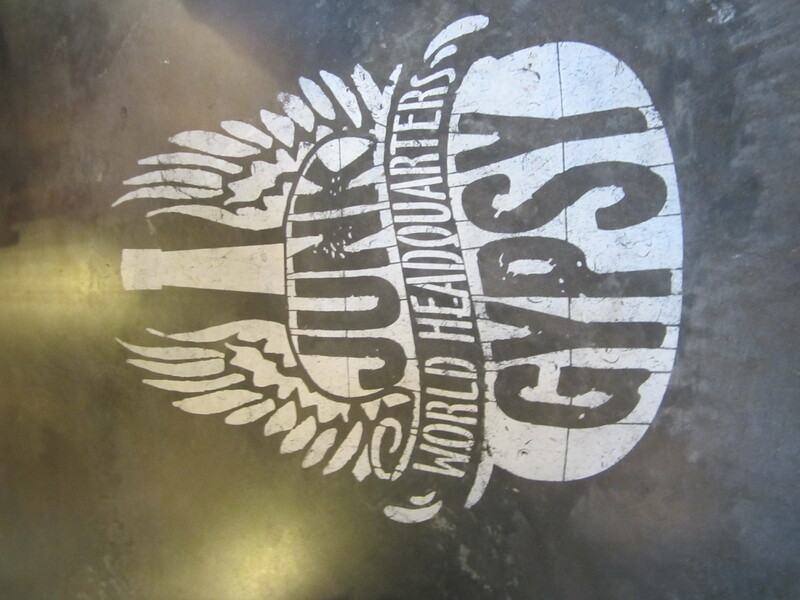 As you enter, the floor confirms you have reached the heart of Gypsyville! 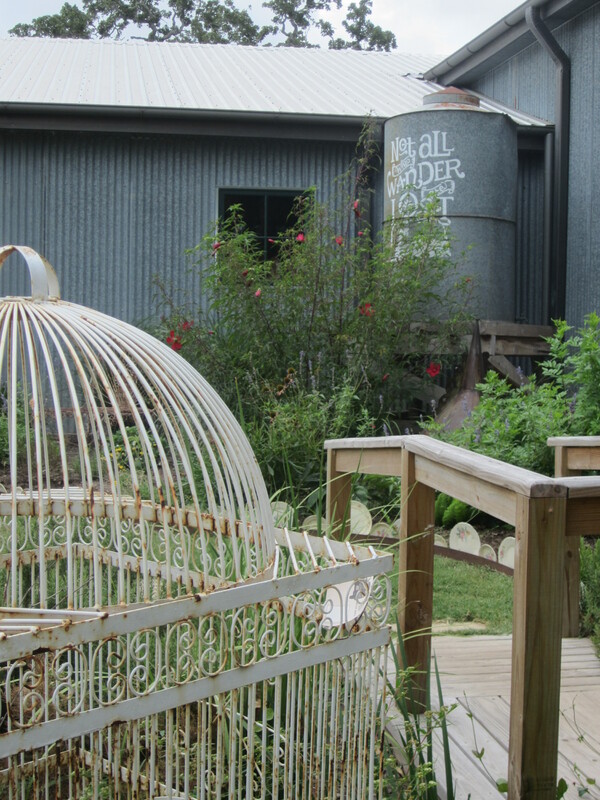 Yep, the Gypsies decorated Blake and Miranda’s wedding reception and have the sign to prove it! 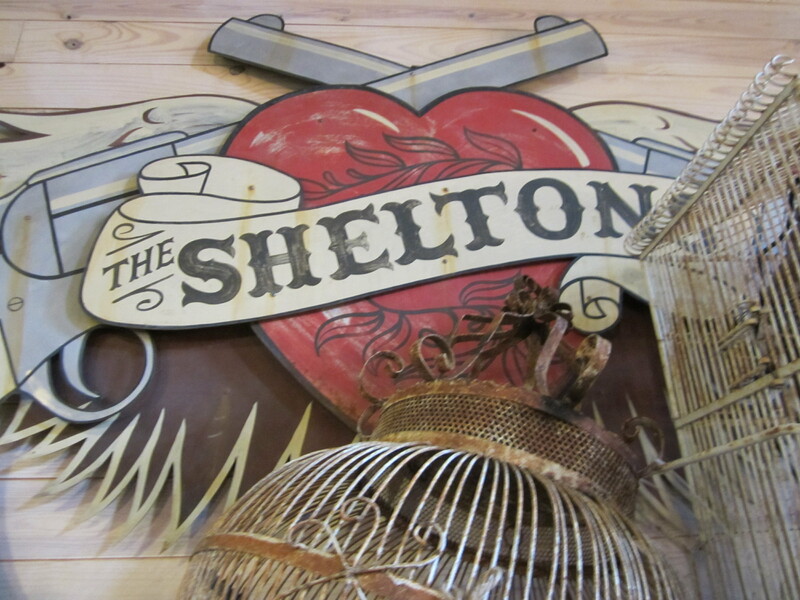 You see a shot of the reception party and this sign in the opening credits of Junk Gypsies on GAC. Everywhere I roam, I always see signs of home! 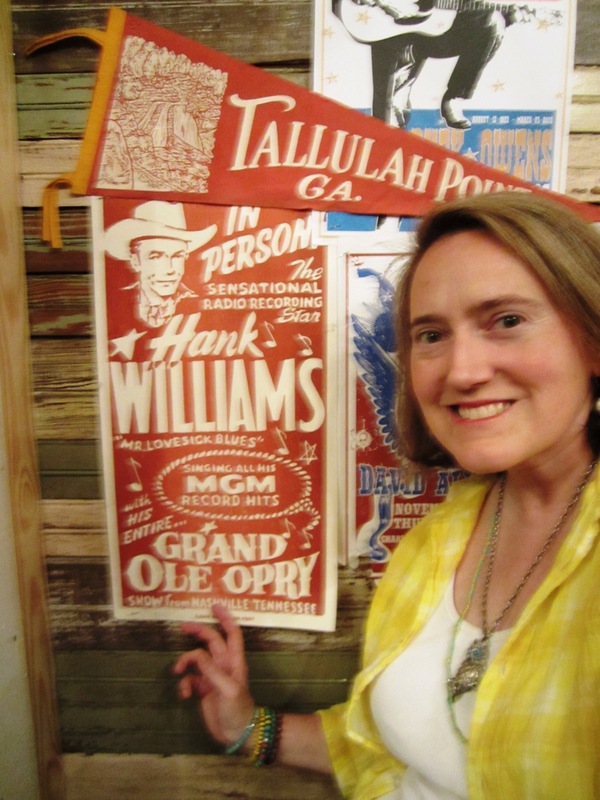 I spied the Grand Ole Opry in the bathroom of the Junk Gypsies World Headquarters. 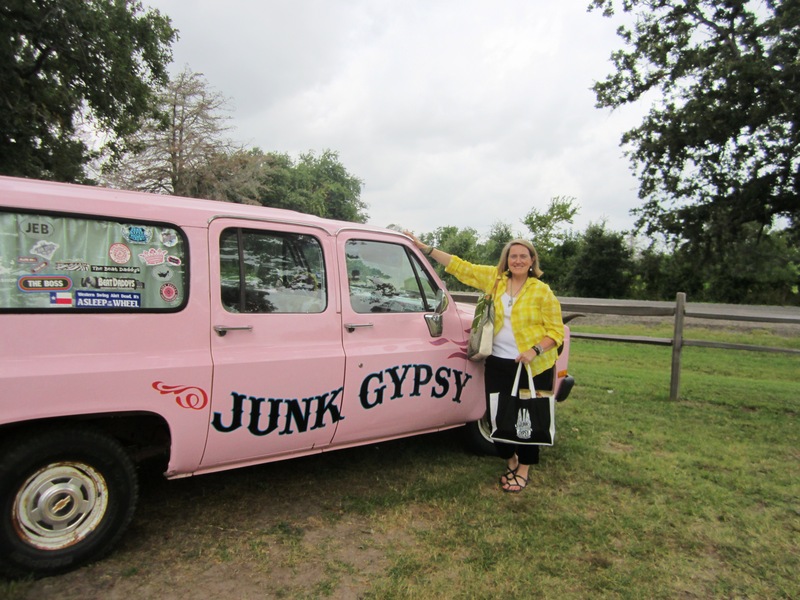 Large Marge is the junkin’ vehicle of the Junk Gypsies, and she is the star of an episode. 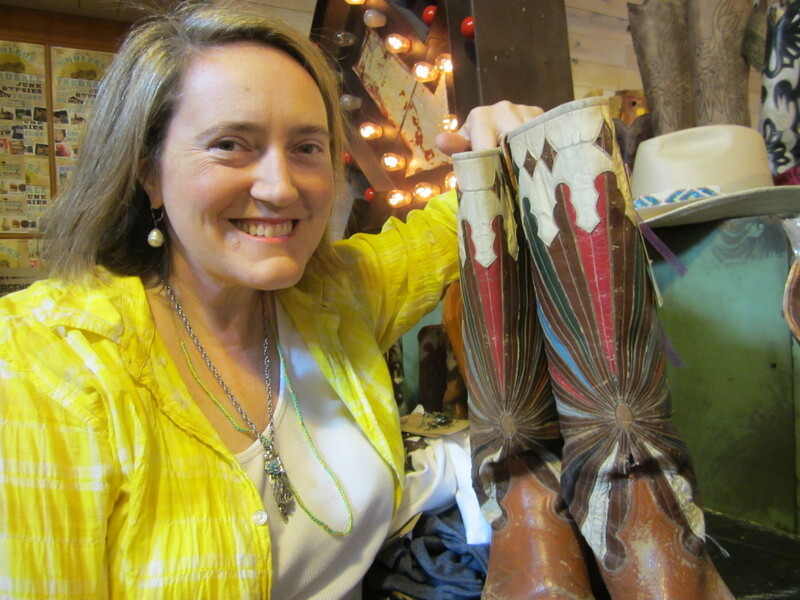 She gets tricked out with a bed and comfy decor, all the better for shopping the backroads of Texas without missing a beat. 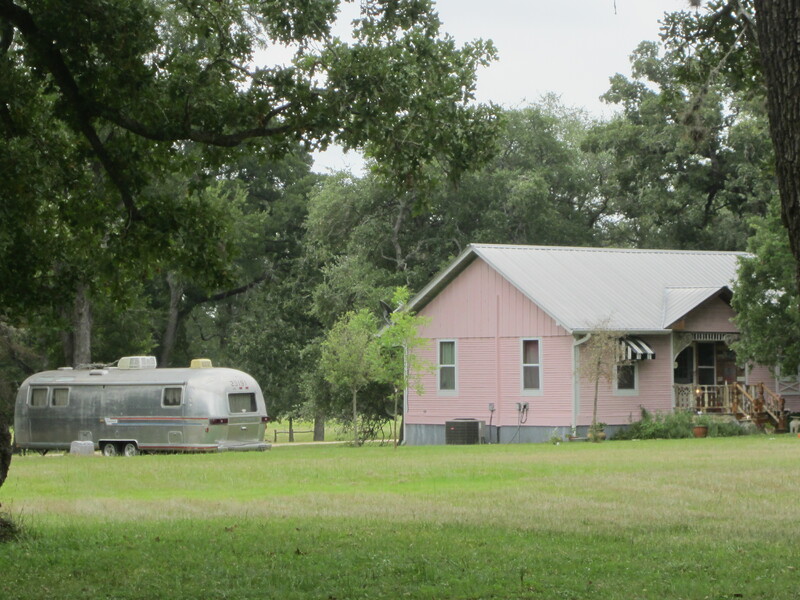 I think this is Amie’s pink house on the family compound. An episode is dedicated to decorating her living room, featuring the Pirate Ship chandelier that later inspires lighting in their Pottery Barn Teen collection of Fall 2014.